Sergio Antonio Larrinaga Morejon was born in 1967 in the City of Havana. His first experience in the artistic world begins in 1979, when he becomes part of dance group "Los Monturritos" from Joellanos, in the Matanza's district, following his figurative arts teacher's advice. He worked in different places: on stage, in theatre as well as for the television. Graduating in 1990 in Higher Institute of Physical Education, he started his working life as a qualified teacher of physical education. In 1988, even though he has not finished his program of studies yet, he decided to become part of dance company called "Los Pinos Nuevos". 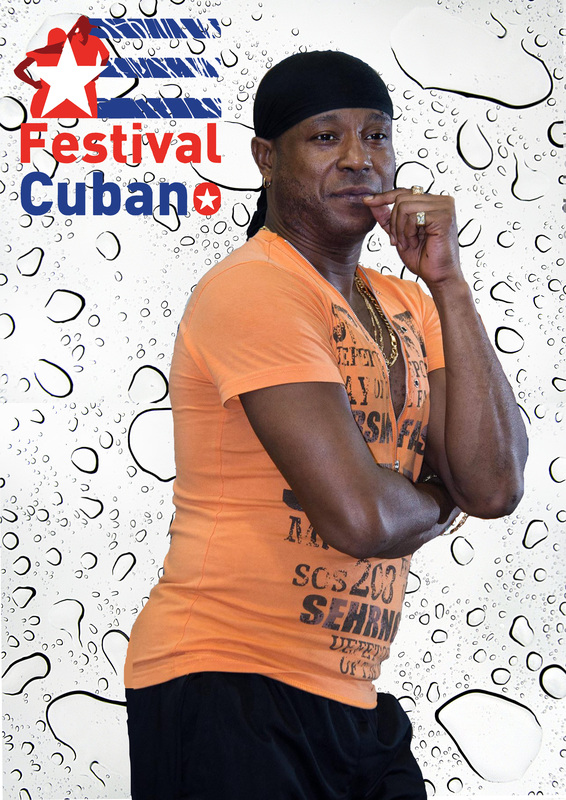 In 1991, he takes part to different national and international events, with the singer of popular cuban and afro-cuban music Mercedita Valdes, integrating into the folkloric dance group "Yoruba Andabo" and performing with them in South America and United States. In 1993 he gets his diploma in Arts (dance specialization) at the school "Pro-Danza" that belongs to the "National Ballet of Cuba". In 1998, judges from the internal commission of the "Conjunto Folklorico Nacional" of Cuba selected him with a group of young dancers to become part of the dance company. Years later, his career at the "Conjunto" will bring him to become himself a judge in the same judges commission. Now, he is a "solo-dancer" and choreographer of the "Conjunto Folklorico Nacional", as well as teacher and dancer of the variety of theatres in the city of Havana. With the "Conjunto Folklorico Nacional" he visited many European countries (Spain, France, Italy). In Italy, dance-leagues acknowledge him as competition judge and dance teacher.